We offer a induction brazing service. The morden equipment allows us to produce your components in the most efficient manner. Moulding, converting and joining of high end technology to turn metals into a useful component what brazing is all about. Our Brazing Of SS and MS Brass and Aluminum Components is a powerful tool used to reduce cost and make effective use of metals into real products. 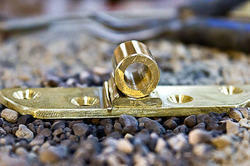 The brazing is hassle free solution that turns metal into a strong, leak-proof joint. The temperature can be controlled from 450 0C to 1200 0C for most of the brazing applications. We are a one stop solution for all your process heating challenges with a reliable system solution to improve the efficiency and effectiveness of your industrial heating process through our Industrial Brazing Job Work or a materials-joining technology where a filler metal is heated above melting point and distributed between two or more close-fitting parts by duct action. The induction brazed process requires the use of a brazing alloy that has a lower melting point than the base materials being joined by induction brazing. In induction brazing usually ferrous materials are heated rapidly from the electromagnetic field that is created by the alternating current from an induction coil. Induction brazing can accommodate joining two or more materials together with the proper filler metal. Our company services in the field of Brazing Job Work. We undertake with the use of machinery and equipment in our plant. In the process of induction we make use of a high frequency induction power source to create the heat necessary to melt the braze filler metal and completing an induction brazed joint. 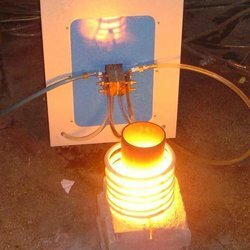 Further, in induction brazing usually ferrous materials are rapidly heated from the electromagnetic field that is created in return by the alternating current from an induction coil. 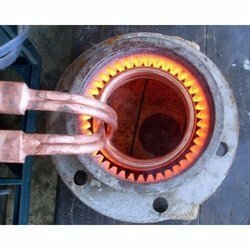 Brazing of Switch Gear Parts parts are made using components brazed to another metal components, which offers superior finish with enhanced holding power at reasonable price. Brazing joint are the most neat & durable. While welding creates metal joints by applying concentrated heat at the joint to melt and fuse metals together, brazing involves significantly lower temperatures and does not entail the melting of base metals. Instead, a filler metal is melted and forced to flow into the joint through capillary action. Brazing of 2 different metals . Brazing permanently joins base materials. Brazing is very effective at joining dissimilar metals. High temperature brazing is a joining process carried out under vacuum or in a controlled (reducing) atmosphere with a brazing temperature above 900°C. When brazing, the filler metal melts and is drawn by capillarity force while molten into the thin space between the base materials (not melted) that are to be joined. When cooled a strong and leak free metallurgical bond is created. brazed parts includes utilized in nuclear, energy, aerospace and automotive industries. Looking for Induction Brazing Services ?